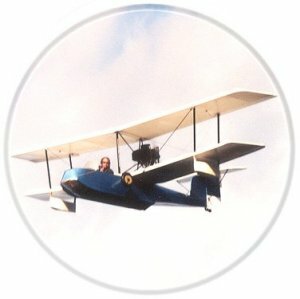 Welcome to MarinerAircraft.com; home of Mariner aircraft information, plans, classifieds, kits, parts and demo rides. At present our web site is in the midst of construction, however upon completion our web site will provide information on the history of Mariner Aircraft and frequently asked questions. You will be able to order Mariner Aircraft plans, parts, and 51% kits, and even schedule a demo ride. Our site will offer a classified advertisement section if you're in the market for a plane, and a form will be available for you to submit a listing to sell your aircraft. If you're a Mariner Aircraft enthusiast please feel free to add your own comments on our Testimonial page and/or share your photos on the Photo Gallery page. Visit our Related Links page for links to other interesting sites and if you have any questions, please visit the Inquiries page to submit your question. In addition, we include a link to our sister site, thrillclubs.com, which offers thrills such as hot air balloon rides, hover-crafts, snowmobiling, sailing, and flying, to club members visiting or residing in the Minneapolis area. Please note that at MarinerAircraft.com we appreciate, and share, your interest in Mariner Aircraft and we will answer your questions as soon as possible. Naturally, your privacy is important to us. All personal information submitted will be held in the strictest of confidence. Please contact Doug with any questions.